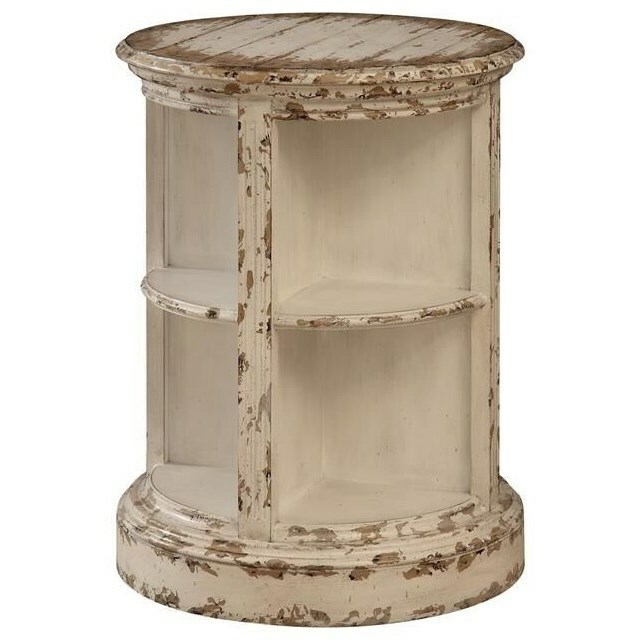 This heavily distressed end table offers a rustic-styled blank canvas for you to work with. Place anything from plants to figurines on the shelves surrounding this piece to make it your own. The Coast to Coast Accents Rustic Round Accent Table by Coast to Coast Imports at Miskelly Furniture in the Jackson, Pearl, Madison, Ridgeland, Flowood Mississippi area. Product availability may vary. Contact us for the most current availability on this product.